On January 4th, we suddenly found ourselves in a lot of smoke. High winds were fanning a prairie fire to the west of us. It started out near the Buffalo Jump, but quickly crossed Highway 2, heading west. The worst part of it was that we couldn't really tell how close or far it was. 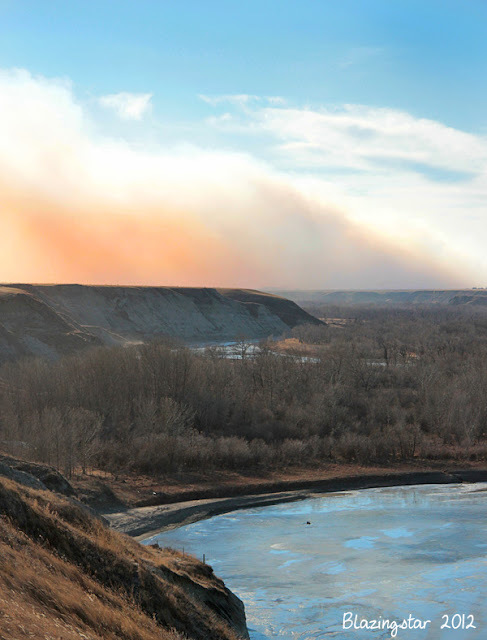 While we are on the other side of the river from the fire, fires can easily cross the Oldman River when they are fuelled by 120km/hr winds (that exact scenario happened near Lethbridge at the end of November). 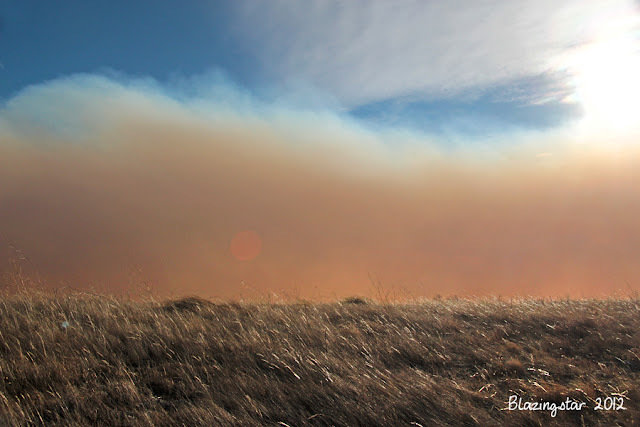 At about 3pm we got a call from the MD of Willow Creek, telling us to be ready to leave our home if required. Fortunately we can easily get all 4 of our dogs and the cat in our van. We packed a few important things and waited.... (missing obedience class in the meantime). Well, we didn't exactly sit around, we wet down the west side of our house and yard, moved the barbecue propane tanks far from the house and removed some firewood that was stored under our deck. Thankfully the fire was put out at nightfall, still quite a few km from our place and amazingly no homes were destroyed (although quite a few outbuildings and barns were). 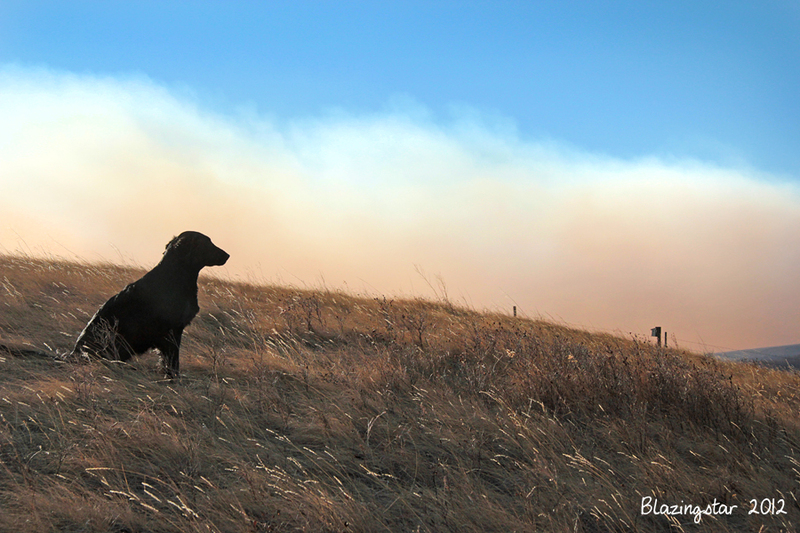 We have had an exceptionally dry, warm and windy winter so far, which creates a very high fire hazard. Hopefully we will have some snow to cut down the fire risk soon. Glad it didn't get any closer. Very dry and warm down this way too. Seems like Ocotober came and never left. Quite a change from last winter.